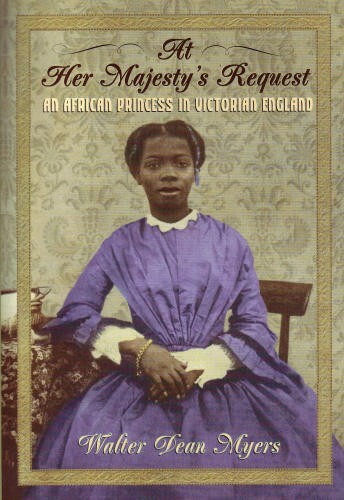 The fascinating true story of a young African princess saved from execution and taken to England at age seven. There she became Queen Victoria's protege and grew up in a position of privilege. She eventually married an African missionary but remained close to the Queen throughout her life. Once there was a little girl--an orphaned African princess--who narrowly escaped death by human sacrifice in a West African village in 1850. A British sea captain named Frederick E. Forbes saved her life by talking King Gezo of Dahomey into giving the girl to Queen Victoria of England as a gift: "She would be a present from the King of the blacks to the Queen of the Whites." As impossible as this tale sounds, it is a true one. 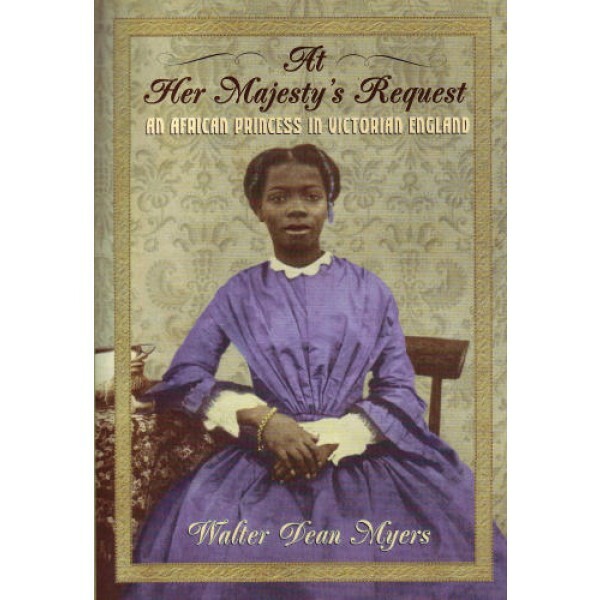 Award-winning author Walter Dean Myers--piecing together her story from letters he found in a rare book and ephemera shop in London--paints a hauntingly detached portrait of the small African princess whom the heroic captain named Sarah Forbes Bonetta. We follow her charmed but unlucky life as the Queen's protege through a succession of British middle-class households, beginning with the Forbes home. Because of her celebrated association and frequent visits with the Queen, Sarah grows up in an unusual position of privilege, education, and celebrity. On the flip side, she is keenly aware that her decisions are not her own, and as a rescued orphan under the Queen's protection, her life's path is dictated by those acting in what they perceive to be her best interests. It is hard not to feel that it was cruel of her protectors to wrench her (more than once in her life) from the adopted family she adores, and eventually to encourage her to marry a West African businessman whom she clearly stated she could never love, and who would take her away from her adopted country.